Sputnik/Mikhail Klementyev/Kremlin; London Metropolitan PoliceRussian military leaders have reportedly called its intelligence service ‘deeply incompetent’ after a series of high-profile blunders. Here’s a composite image of Russian President Vladimir Putin and the two suspects behind the poisoning of former Russian spy Sergei Skripal in Salisbury earlier this year. Russia’s military leaders are reportedly unhappy with a series of blunders that its intelligence service suffered through in the past two weeks. Over the past two weeks, Western investigators said that the GRU, Russia’s military intelligence service, was behind the nerve agent poisoning in England and an attempted hack into the global chemical weapons watchdog earlier this year. The country’s defence ministry held a secret meeting over the weekend and called the GRU “deeply incompetent,” “infinitely careless,” “morons,” Russia’s MBK news site reported. In the past two weeks alone, Western investigators found that agents of Russia’s military intelligence service – commonly known as the GRU – were behind the attempted assassination of former Russian spy Sergei Skripal and an attempted hack into the global chemical weapons watchdog’s headquarters earlier this year. 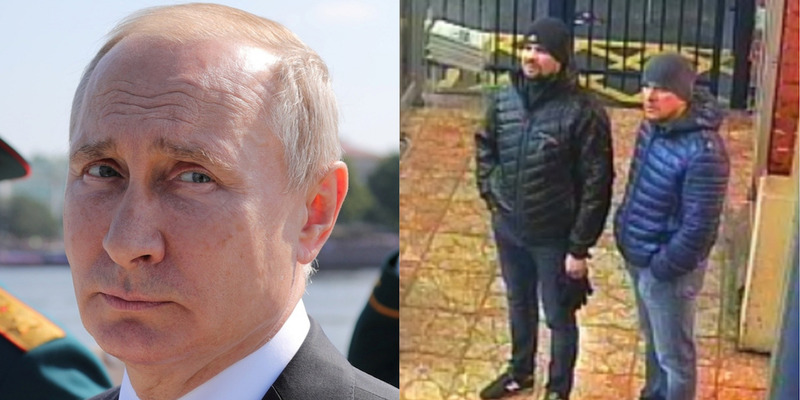 Both missions ultimately failed, and investigators pointed fingers at GRU agents – Russia’s leaders are reportedly not happy. The country’s defence ministry held a secret meeting on Saturday to discuss the recent reports of GRU blunders, and had some angry words to say, Russia’s MBK news site reported on Monday, citing an unnamed source. 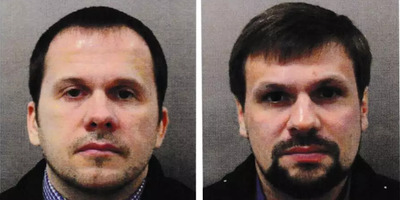 London Metropolitan PolicePhotographs showing Alexander Petrov and Ruslan Borishov, two men accused of poisoning former spy Sergei Skripal. The GRU was described in the meeting, MBK said, as “deeply incompetent,” “infinitely careless,” “morons,” and people that “would still wear the budenovka” – a phrase that means being outdated. The budenovka was a military hat worn in the late 1910s and early 1920s, shortly after the Russian tsar was deposed. The defence leaders are also considering a “big sweep” at the GRU and ask some of its generals to leave, MBK said. 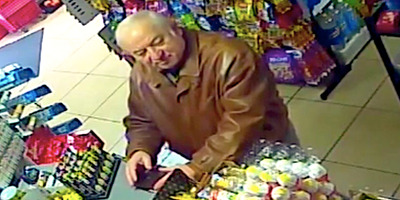 ITV NewsFormer Russian spy Sergei Skripal buying groceries in Salisbury, England, days before he was poisoned with military-grade nerve agent. Last month the UK accused two Russian men of travelling to Salisbury, England, and poisoning Skripal and his daughter with military-grade nerve agent this March, and said they were GRU agents travelling under pseudonyms. 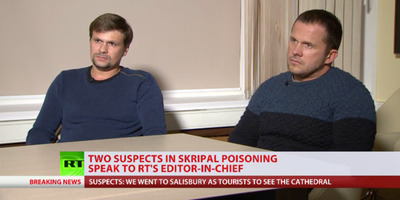 Putin, whose government has long denied having any knowledge of the attack, initially claimed that the two men’s names – identified at the time as Alexander Petrov and Ruslan Boshirov – “mean nothing to us,” then said that they were civilians. 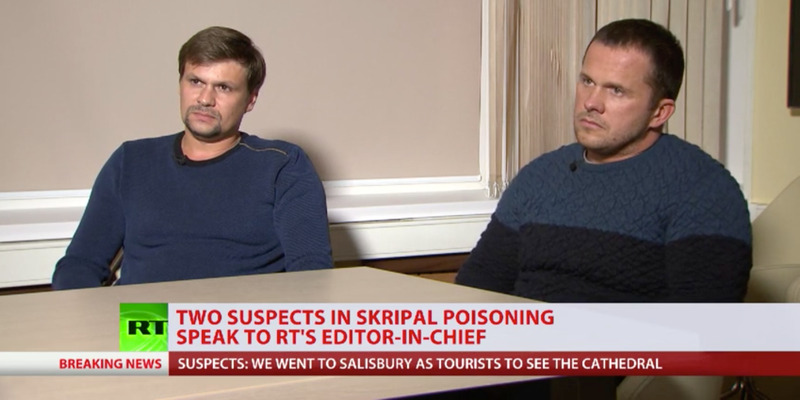 RT NewsAlexander Petrov and Ruslan Boshirov told RT’s editor-in-chief they had nothing to do with the Skripals’ poisoning. September 12, 2018. The men – two tech experts and two support agents – were caught red-handed and attempted to destroy some of the equipment to conceal their actions, Dutch authorities said. The Netherlands then determined that they were agents of the GRU after finding that one of their phones was activated near the GRU building in Moscow, and discovering a receipt for a taxi journey from a street near the GRU to the Moscow airport,the BBC reported.